← Is it Monday already? Tonight these four Hogwarts-themed bears and one blue guy went along to Knit Night with me, but they went home with a friend to be mailed off to the Mother Bear Project in Minneapolis along with some of hers. It’ll be nice for them to get to know each other on the trip. I also made some good progress on my Chasing Snakes socks. The red is so much nicer than it looks here. Those bears look so hugable! I’m sure they will be hugely enjoyed by the kids that will receive them. 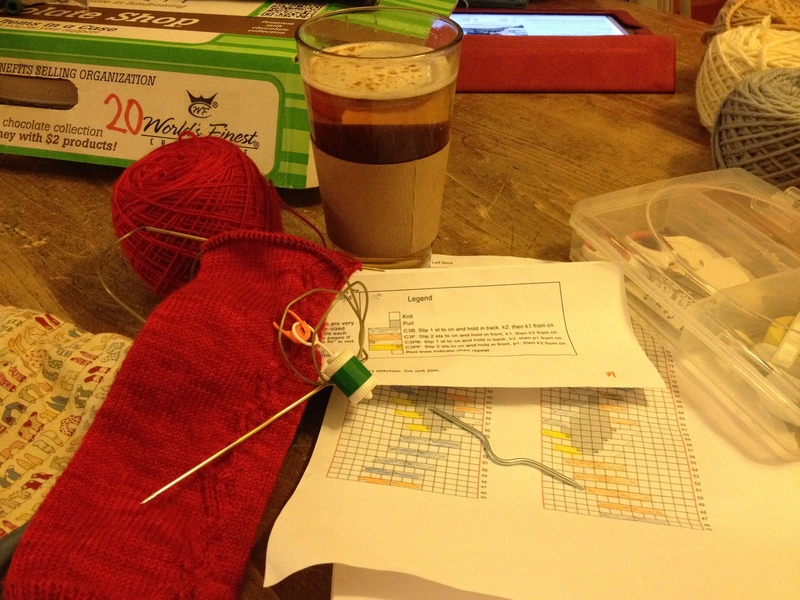 Your socks are coming along nicely. I just got in the yarn for mine. Have you encountered any problems so far? I think so! 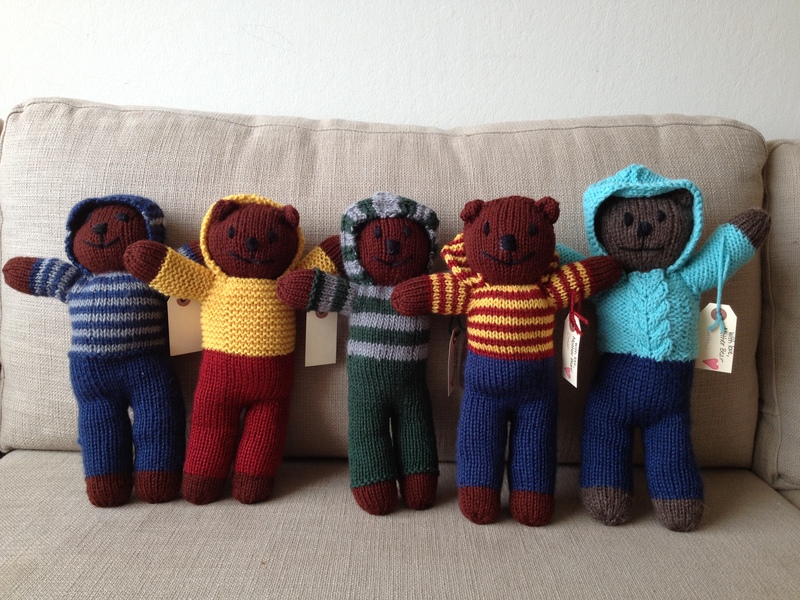 When I see the photos of the kids with their bears, it inspires me to knit more! No problems with the socks, except that I accidentally knit to the end of the entire chart before starting the heel flap, so I ended up knitting about 20 rows extra. Oh well, I do like long socks. It was helpful to me to color code the chart. It makes it faster to find out which cable I’m supposed to be doing. Yes, they’re a good length after all. I’m almost to the toe decreases! I am sure you enjoyed immensely 😀 m.